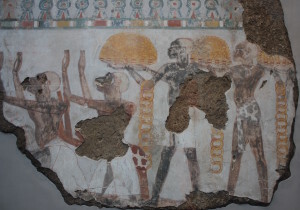 It seems a little odd, when the majority of Egyptologists have no direct connection to Africa in regard to their own biological or cultural heritage, that they feel justified in deciding when a representation is or isn’t of a person of African descent. The ruler illustrated in this post is a case in point. 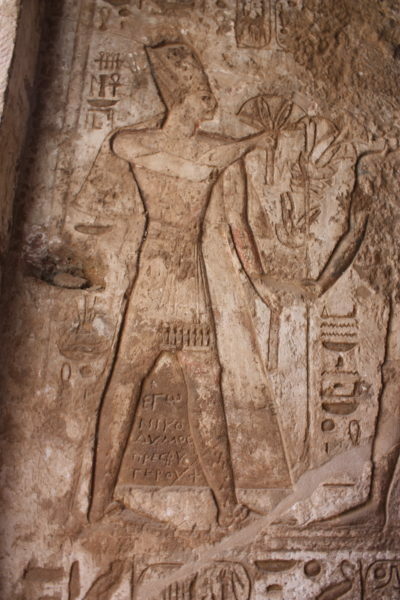 It represents Senusret Khakaure, who is now known as Senusret III. 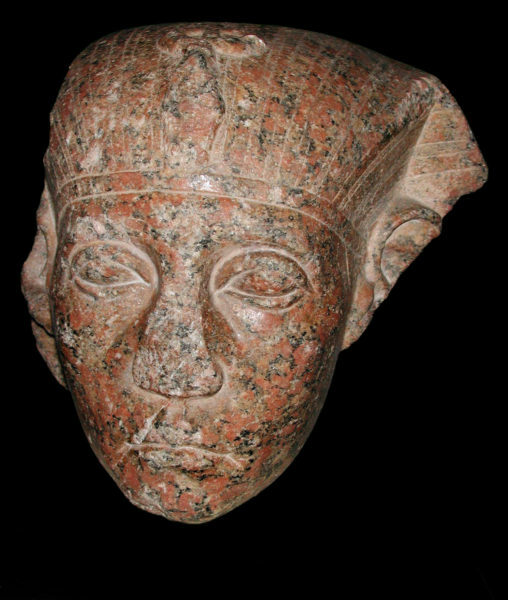 He was a fifth ruler of Dynasty 12, which belongs to a period now referred to as the Middle Kingdom, and ruled Kemet from around 3800 years ago (circa 1872-1853 BCE). His strong jawline, hooded eyelids and prominent cheek bones have led many people to recognise facial features that are typical of some indigenous African people, and people of African descent. Now it should be the case that you don’t need a qualification to decide whether a statue represents someone of African descent, no? Well, that doesn’t seem to be the academic consensus in the case of Ancient Egyptian sculpture. Since the 1990s it has generally been assumed that images of kings are not true likenesses of the people they represent. I should state from the off-set that I do not subscribe to this point of view and whilst I am prepared to concede that rulers, from any culture, are typically represented in an idealised way, I really do not understand why a portrait would look nothing remotely like the subject. 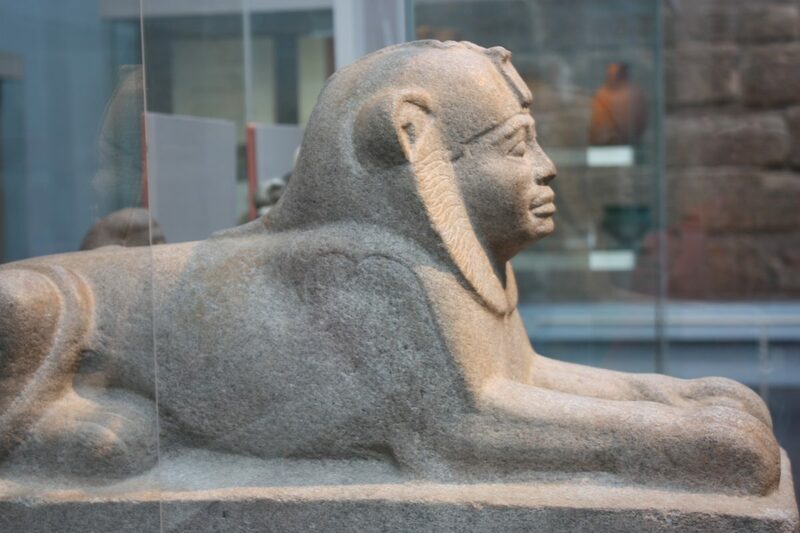 Particularly when there is such a variety amongst Ancient Egyptian royal sculpture. I adopted this point of view very early in my career as an Egyptologist. My doctoral thesis was on Egyptian royal sculpture and I subsequently spent some years continuing to research this particular area. I am confident that I could correctly identify an image of any Ancient Egyptian ruler. I can do so, because each had a very specific ‘portrait’ type. There was a good reason for this phenomenon. 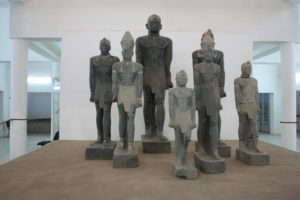 Life-size stone statues, (such as those above) were often placed at the entrances to temples or palaces with the intention of promoting the King. Inscriptions were not always visible on statues and so the iconography (symbols) and the facial features needed to also play a part in assisting with identifying who the statue represented. How then are the features of Senusret III typically explained? Realistic, symbolic or psychological portraits? 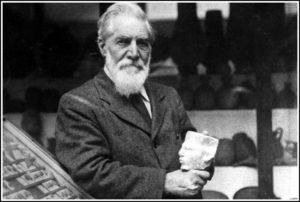 Realistic– Egyptologists Cyril Aldred and Jacques Vandier who wrote, in the 1980s, on the subject of portraiture in Kemet dating to the so-called Middle Kingdom concluded that the portrait features on statues from this period were realistic representations of the kings. 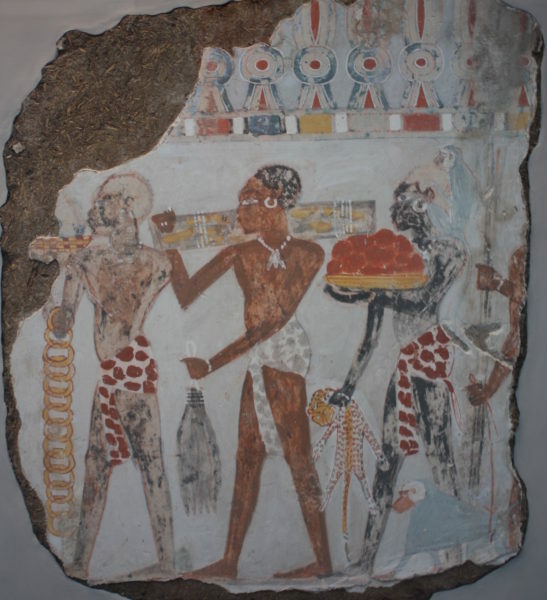 Non-realistic– in relation to non-idealised portraits on funerary representations dating to the earlier period of the so-called Old Kingdom, Bernard V. Bothmer concluded that no representations from Kemet should be called ‘portraits’. More recently, Egyptologists have interpreted features on the sculptures of Senusret as coded messages– for example the prominent eyes representing a vigilant king. In 1996 Egyptologist Jan Assmann, put forward the idea that these portraits represented the inner character of the kings and were psychological. I have included this quote because a number of friends and colleagues who have questioned professional Egyptologists have met with a response that suggests portraits from this period are to be dismissed as non-realistic representations. 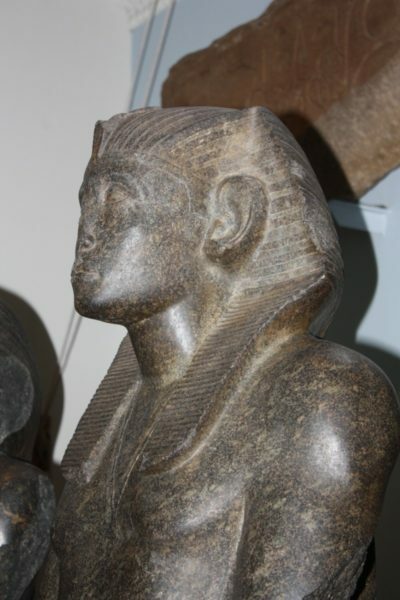 In other words when asked if Senusret really looked like his statues, they are told that this is not the case. The question often arises because people of African descent recognise the portrait features on these statues as similar to their own. 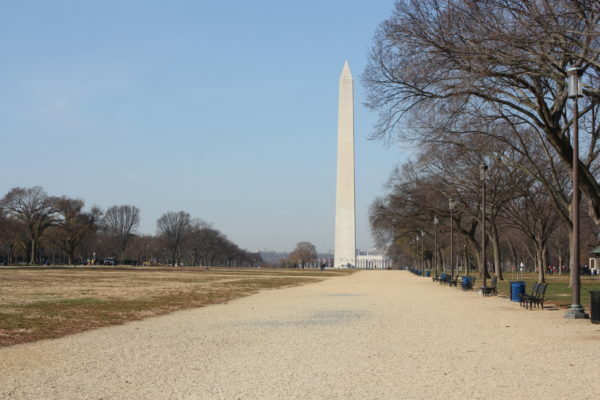 Therefore, to deny that the statues look even remotely like their subject, is to deny their African origin. There is one key issue that no-one seems to have addressed. 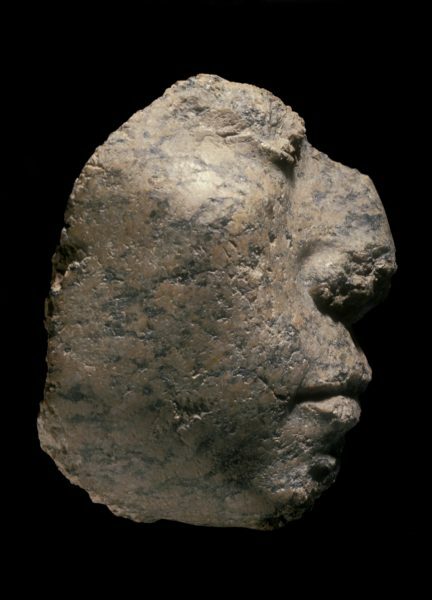 Whether these ‘portraits’ are realistic or idealised representations, the overall appearance of these statues (their profiles, facial features, and also where hair is represented) suggests very strongly that they represent indigenous African people. 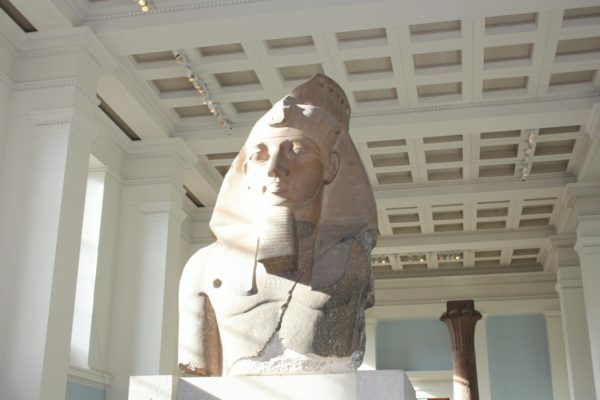 Why would any sculptor show their kings in this way if they were anything other than African? I spent the best part of 3 years researching African hair combs. And just when I thought that I knew everything there was to know and had found every possible parallel for the combs from Ancient Egypt, I came accross a number of very interesting combs in the National Museum in Accra, Ghana (below). The objects above were excavated by a British archaeologist Thurston Shaw at the site of Dawu. The rubbish dump where they were found was dated to between the mid-seventeenth and eighteenth centuries CE. This coincided with the time that the town was absorbed into the Akwapim Empire. The comb on the left is important because it is almost identical to the combs that were made by African people who had been enslaved and transported to the US. The comb, or decorative piece, in the middle on the right, struck me because it is almost identical to a comb that is housed in the Fitzwilliam Museum, Cambridge. The difference being that the Cambridge comb (below) is around 6000 years old and from Kemet. It isn’t possible to say that two combs that are 6000 years apart are directly connected. We can only make this assumption if we can show continuity through time. However, until I saw the Dawu comb I had failed to find any parallels for the comb above apart from those in Ancient Egypt. It is possible that the two combs were used as decoration for the hair, or that they served a particular purpose in styling. By looking for parallels within other African cultures we are able to obtain a better understanding of how items that relate to hair were used in Kemet. 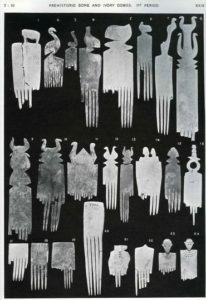 Ethnographic photographs from the late nineteenth and early twentieth centuries show that combs were used for multiple purposes. This includes combs being used as status symbols, as decoration for the hair, and as tools; which accords with the evidence from Ancient Egyptian burials. There are also parallels in the decorative techniques that were used in both Kemet and West African cultures. The incised circular decoration on the teeth of the Dawu comb (below right) was also used in Ancient Egypt. 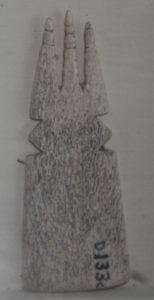 A bone comb from Dawu. National Museum, Accra. I started this post with an image that I took when the Origins of the Afro comb exhibition was on. Being a curator allows you to display objects that you have always wanted to see together and which are not typically shown in that way. 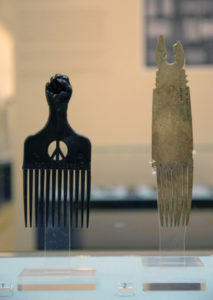 For me one of the most exciting things about curating that exhibition was being able to display a 1970s Black power comb next to an Ancient Egyptian comb that was found in a grave at the cemetery of Abydos. In Predynastic Kemet, combs were used as a status symbol and were also worn in the hair. This is a common practice in other African cultures. 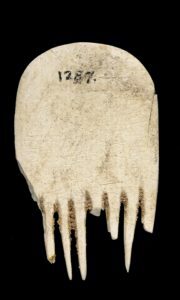 The earliest combs were in the form of a ‘pik’. The symbols on the handle are often in the form of an animal or part of an animal; perhaps suggesting a religious or power connection. I was pleased to be reminded, by the Dawu combs, that many African combs are not in the form of a ‘pik’. 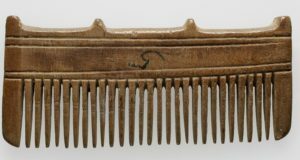 Of course combs with longer teeth are only appropriate for specific styles of hair and in the same way that not everyone with African type hair uses a ‘pik’ today, the same is true of earlier periods. From around 4000 years ago the form of comb illustrated above was commonly used in Ancient Egypt. The main difference between those from Kemet and ancient European combs is the width of the gaps between the teeth. Those from Africa tend to have more space, presumably because the users and makers of combs were aware that African type hair can be fragile and prone to breakage. On the one hand mainstream Egyptology does not like to enter into discussions about the racialised identity of the ancient people; and yet certain representations are seen to be ‘acceptable’ as ‘African’. Dynasty 25 is a case in point. As rulers of Kush and Kemet these kings are often referred to as ‘The Black Pharaohs’ by the popular press and academics alike. The Kushite rulers. Kerma Museum, Sudan. In 1999 Robert Morkot published an academic book: The Black Pharaohs. 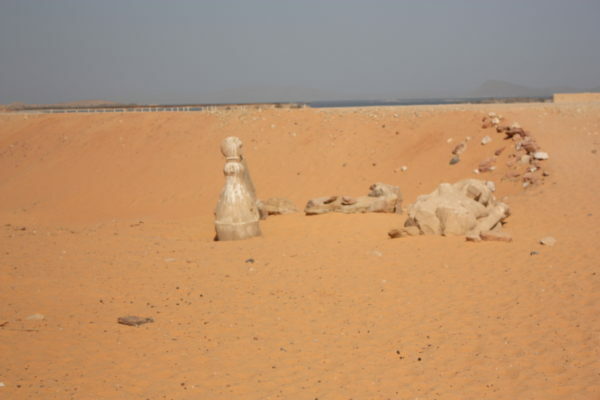 Egypt’s Nubian Rulers. 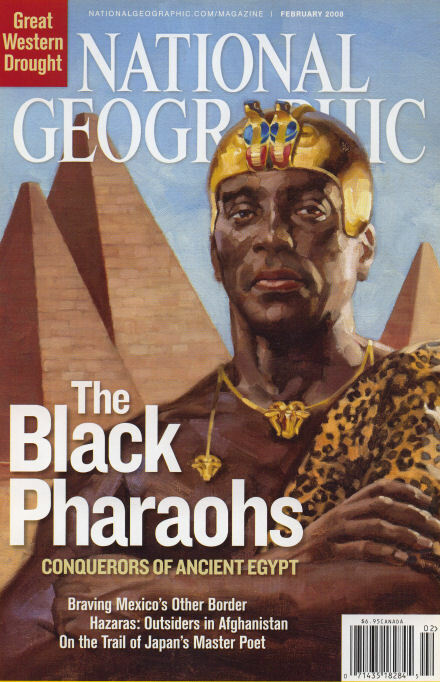 Then in 2007 a book entitled: The Nubian Pharaohs. Black Kings on the Nile was published by Charles Bonnet and Dominique Valbelle. It detailed the discovery of the group of statues now in the Kerma Museum (above). I’d like to spend a moment deconstructing these titles and thinking about the implications for African centred approaches within Egyptology. Both books use the term Nubian to distinguish these rulers from any other Egyptian kings. A future post will consider this term in more detail, but my point at present is that both titles infer that there was an artificial point beyond which people were indigenous Africans, and that anyone further north was not. For me, part of the problem lies in exactly how Egyptology defines indigenous African peoples. 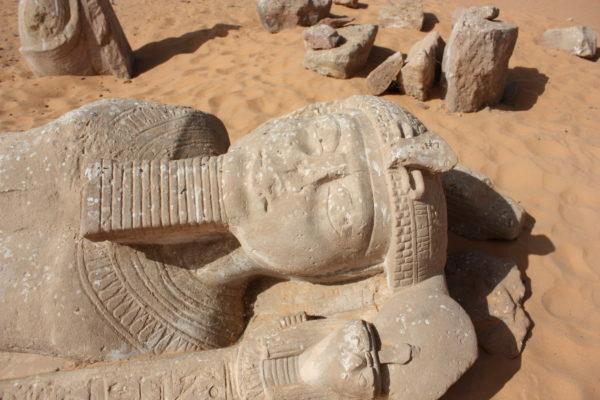 By adopting the stance of deciding what is and is not ‘acceptable’ as an African we are simply seeing a continuation of those early attempts to deny that Ancient Egypt was an African culture that I summarised in an earlier post. Who’s Black and who’s not? In that post I explored the racist ideologies of Nott and Glidden, who used the figure above to illustrate racial types. Three out of the four figures above are, of course, African. However, which would we identify in the modern sense of the word as ‘Black’. For many people who are of non-African descent, skin colour alone would be the deciding factor. Some people would fail to take account of other physical features, for example hair type, when considering this point. The Libyan, Nubian and Egyptian all have African-type hair and yet they are someone seen to be different. Libyans are generally depicted by Egyptians artists as having light brown skin; the Egyptians themselves range between light and dark brown skin tone; and of course the Nubians (Kushites) are depicted with jet black skin. This is partly because many people fail to see the variation amongst indigenous African populations. It is because of this mindset that we find the Ancient Egyptian population being described as ‘mediterranean’ or ‘mixed’. It is worth noting that the term ‘mixed’ in this context does not refer to the diversity of African peoples, it is used to suggest that the entire population was in part descended from non-Africans. Occasionally Egyptologists did identify some representations being of Africans based on features alone. When George Reisner discovered the representation of a woman at Giza, now in the Boston Museum of Fine Arts, he described her as a ‘negroid princess’. Not a term that we would use today; but in a modern sense she was ‘Black’. So what makes some representations ‘acceptable’ as representations of Africans and others not? I have spent some years trying to answer this question. For me the range of skin tones and hair types that we see when Kemites represent themselves (above) reflects a range of indigenous African peoples. Over time, as the country was occupied by people from outside then there is a wider variety in the population and also the dominant culture. A timeline of foreign contact illustrates this point well. If someone believes that the Ancient Egyptian people were European, they already show a bias. I discussed confirmation bias in my last post. Some people do not understand the variety of skin colours and shades that are found amongst indigenous African people. The ancient representations of the people from Kush present one type of African person. 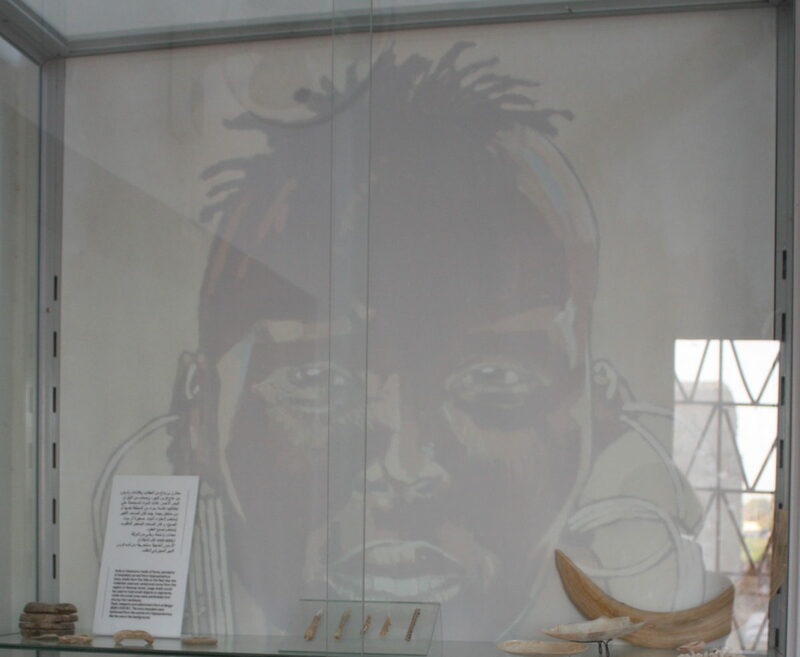 However, it seems today that unless an image matches this ‘type’ then it is not deemed to be ‘African’. Very few people of African descent have skin that is the colour of the Kushite representations. The ranges of skin tones of modern day indigenous African peoples are actually closer to those that we see on depictions of Kemites. 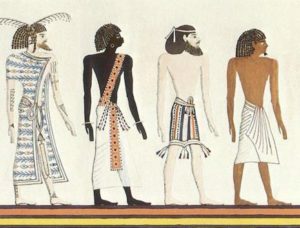 Ancient Egyptian artists sometimes depicted people from Kush with the same skin colour as those from Kemet (see left). The hair type and hairstyles that are shown on Kushites are also found on depictions of Kemites. Egypt versus Kemet: a case of cognitive dissonance? A case of cognitive dissonance? Sometimes people hold a core belief that is very strong. When they are presented with evidence that works against that belief, the new evidence cannot be accepted. It would create a feeling that is extremely uncomfortable, called cognitive dissonance. And because it is so important to protect the core belief, they will rationalize, ignore and even deny anything that doesn’t fit in with the core belief. The Theory of Cognitive Dissonance was further developed by American psychologist Leon Festinger and published in 1957. Festinger suggested that we all strive to maintain consistency in our attitudes, beliefs and behaviours. That when there is an inconsistency we find this unpleasant and fall into a state of cognitive dissonance. In order to correct this tension we will automatically try to reduce or eliminate the inconsistencies. One way to do this is, as Fanon observed, to deny any evidence that does not fit with our existing belief or opinion. We also know from experiments that people preference information that confirms an existing belief. This is known as confirmation bias and is the tendency to search, interpret and recall information that confirms a belief that we already hold. Of course academic work relies on evidence to support or dismiss theoretical interpretations. The problem when dealing with an ancient culture that no longer exists in its original form is that the evidence upon which we base our knowledge is extremely limited. 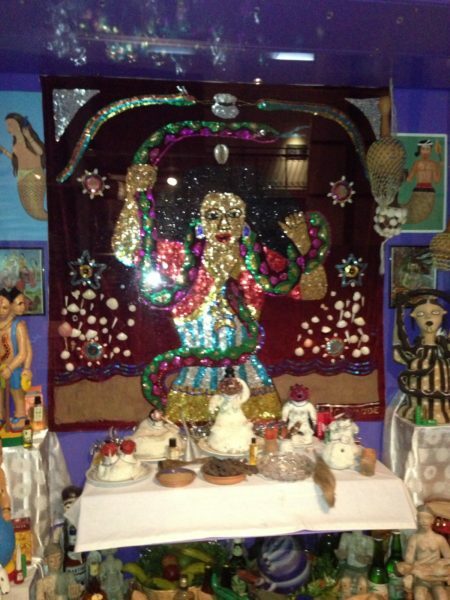 Furthermore, we are influenced by our own identity, our view of the world, and how we learned about that culture. These issues can be magnified if that culture is studied in isolation, as is often the case with Egyptology. I am often asked by people of both African and European descent why I view Ancient Egypt as an African culture. The inference being that as a White academic I must have a personal reason for choosing to undertake research from an African-focused perspective. The answer is pretty simple. I view Egypt as African because this was how the ancient culture was first introduced to me: through the eyes of Greek and Roman artists, philosophers and writers. And more recently my work on other African cultures has presented further evidence that an African framework is the most sensible one in which to view Ancient Egypt prior to the first millennium BCE. 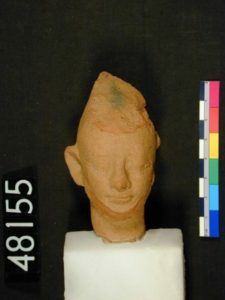 I am certainly not unique amongst UK Egyptologists in seeing Ancient Egypt this way. 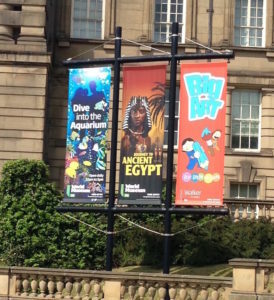 A number of museums in the England promote Ancient Egypt as African in terms of its geography, and its indigenous population and culture. 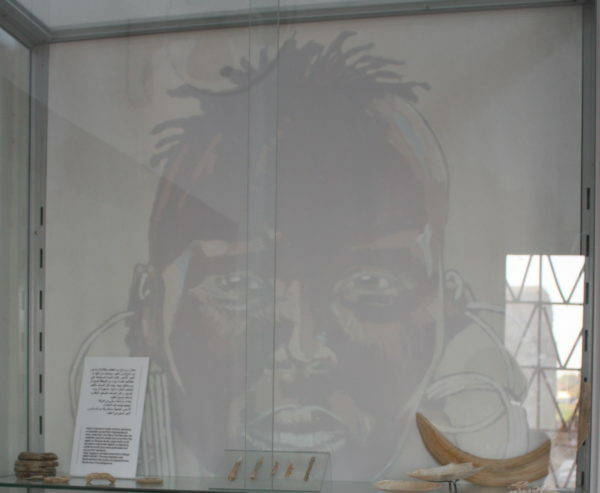 The World Museum, which is part of the National Museums Liverpool, used an actor of African descent to play the part of a King in its educational films (see above). As I write, their Egyptian galleries are currently closed for renovation. 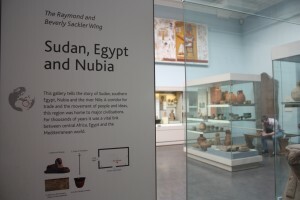 The Petrie Museum of Egyptian and Sudanese Archaeology in London regularly holds events that explore Ancient Egypt alongside other African cultures. And the Fitzwilliam Museum has a dedicated on-line Virtual Kemet Gallery that I developed during my time there as a curator, as part of community-focused project. Looking at a basic timeline demonstrates the extent to which the population and culture of Kemet have changed over the past 5000 years. I use this time span because it includes the first identifiable cultures known as Pre-Dynastic through to the present day. In addition to trading with other cultures from early in its history, Kemet was also ruled by outside cultures. The earliest of these were the Hyksos (known by the Kemites as ‘rulers of foreign lands’) during Dynasty 13 (around 1700-1550 BCE). Culturally the Hyksos derived from the Palestinian Middle Bronze Age. Then from 525 BCE non-African rulers controlled Kemet, which became known as Egypt under the Macedonians and Ptolemaic rulers. Then in 642 CE Egypt became the Arabic Misr. *During the traditional periods of its history the Ptolemaic dynasty was the only non-indigenous to be resident. The other cultures continued to rule Egypt from their own states. Remarkably the culture of Kemet continued in its traditional form until its population changed their religion. 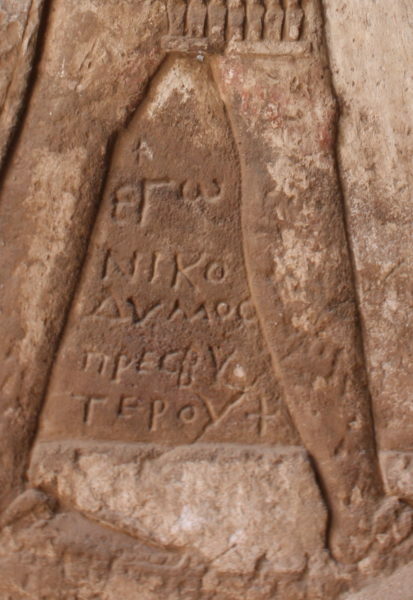 The Egyptian script continued to be used in religious contexts during the Ptolemaic and Roman occupations, in spite of the ‘official language’ changing to Greek. 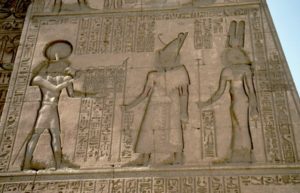 And Ptolemaic and Roman rulers were depicted on temple reliefs performing their duties as rulers of Egypt (see above). Then, as more and more people began to convert to Christianity, the original religion and culture also began to change; temples were abandoned and there was no resident ruler to fulfil the religious or societal role of King. 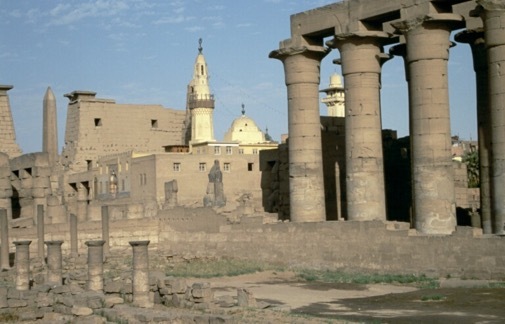 With the advent of the Islamic settlement in Egypt, around 642 CE, the culture, language and religion changed entirely. The new settlers often made reference to the past in their writings and architecture. 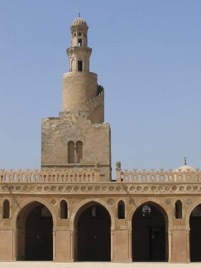 The minaret of the Ibn Tulun mosque (above), and which dates to the ninth century CE was modelled on the famous Pharos Lighthouse of Alexandria, one of the Seven Wonders of the Ancient World. The history of Kemet/Egypt/Misr spans well over 5000 years. If, when looking at this vast timespan, we limit ourselves to a single approach, and we fail to acknowledge the impact of outside cultural influences upon the indigenous, then we automatically limit the evidence base that we are able to utilise. If we also consider the origins of egyptology as a discipline then the potential for a biased viewpoint is further increased. Author Kemet ExpertPosted on February 14, 2016 Categories KemetTags KemetLeave a comment on Egypt versus Kemet: a case of cognitive dissonance? 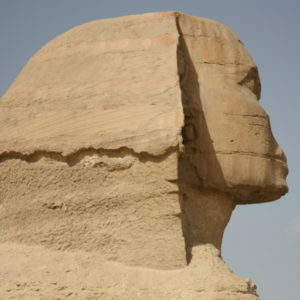 Author Kemet ExpertPosted on February 5, 2016 September 28, 2016 Categories ConspiracyTags conspiracy, egyptian statues, Kemet, noses missing from egyptian statues39 Comments on Why are the noses missing from Egyptian statues?